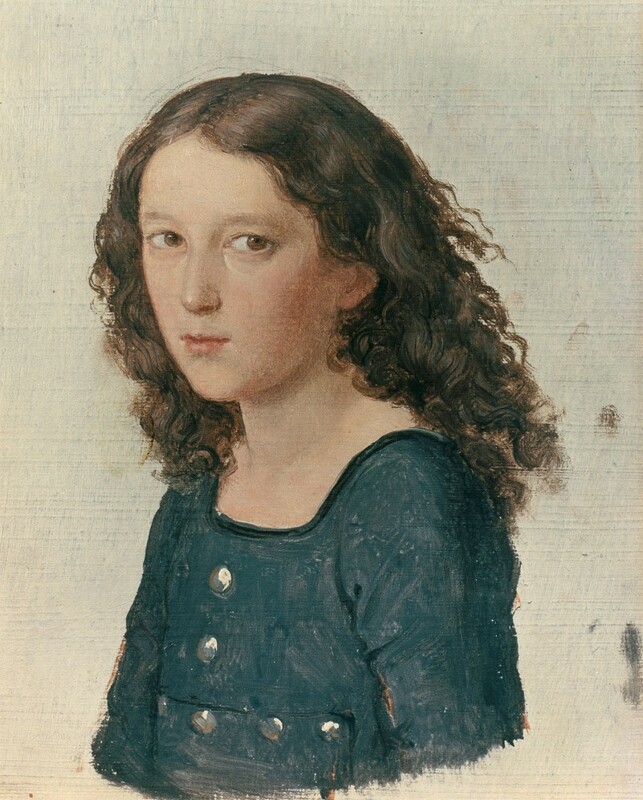 In 1812, Felix’ seven-year-old sister writes to her friends in Hamburg about her three-year-old brother: “Felix has a strong voice and sings all day.” A year before, in 1811, the family had moved from the city where Fanny and Felix had been born to return to Berlin, the Mendelssohn’s old hometown. Here, Felix, the eldest son of Abraham and Lea Mendelssohn, attends Dr. Messow’s Elementarschule near Gendarmenmarkt Square. His education continues with a comprehensive home-tutoring program based on the classical canon but also includes drawing, physical education, piano and violin lessons, as well as the study of composition under the director of the Sing-Akademie. After the family relocates to grandmother Bella Salomon’s house on Hackescher Markt, this new home becomes a venue for regular Sunday recitals, in which the two Wunderkinder Fanny and Felix show off their musical skills to friends and acquaintances, accompanied by instrumentalists hired by their father. The 12-year-old Felix Mendelssohn, a pupil and rascal with a demanding educational workload. Karl Joseph Begas, “Felix Mendelssohn Bartholdy,” 1821, © bpk / photo: Lutz Braun. By this time, young Felix is already writing humorous verse in classical meters and composing privately performed lyrical dramas, symphonies, and chamber music. After their little geniuses are warmly received in Weimar by the cultural icon Goethe and in Paris by the great composer Cherubini, the parents become more convinced than ever that their boy should by all means become an artist – ideally, a famous opera composer. As Felix’s talent matures, the Sunday recitals held by the Mendelssohn Bartholdys (the family’s new name after their conversion to the Protestant faith) in the Garden Hall of their newly acquired town home (Reck’sche Palais) at Leipziger Strasse 3 become a de rigeur event on Berlin’s social calendar. Here, Felix presents his first masterpiece, the “Overture to a Midsummer Night’s Dream,” which he composed in the home’s magnificent garden. His first opera, “The Marriage of Camacho,” is also his only work in this genre since it proves a flop with audiences. His rediscovery and conducting of the practically forgotten “St. Matthew’s Passion” by Johann Sebastian Bach, on the other hand, sparks a veritable Bach renaissance. Travelling to England for the first time in 1829 allows young Felix to strike out on his own from his beloved family; the trip is a resounding success and is followed by a grand educational tour of Europe in 1830/31, providing formative experiences and impressions. 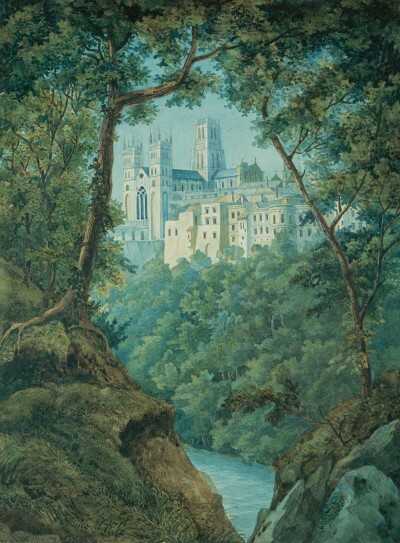 “Durham Cathedral,” created by Felix on his first major trip abroad. Felix Mendelssohn Bartholdy, 1829, © bpk / Staatsbibliothek zu Berlin / photo: Ruth Schacht. The refusal of Berlin’s Sing-Akademie to appoint Felix, the vibrant genius of Jewish origins, as its director to replace the late Carl Friedrich Zelter, his former mentor, is taken as a personal slight by the Mendelssohn family. Felix` disenchantment with his hometown begins to grow. Before long, however, he is able to establish himself as a musical director/conductor in his own right at the Düsseldorf Theater and at the Leipzig Gewandhaus Orchestra. His charm and good breeding make him well-liked wherever he goes. 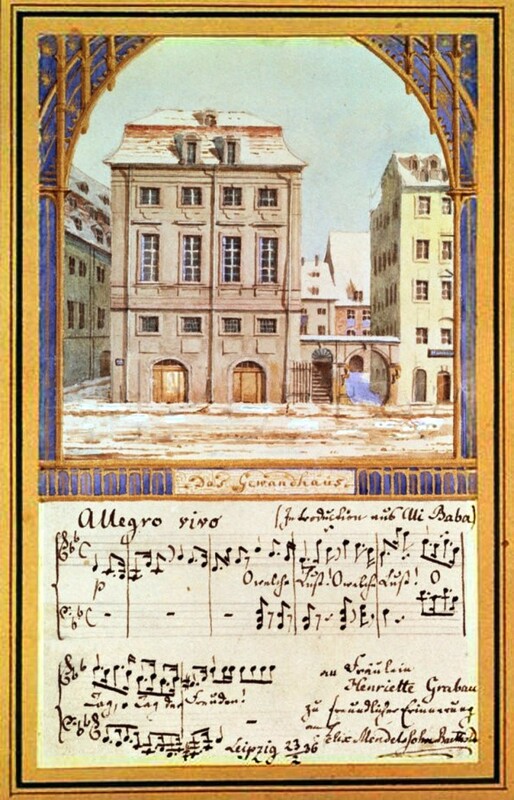 Leipzig’s first Gewandhaus Concert Hall (until 1884), along with sheet music from Luigi Cherubini’s opera “Ali Baba or the Forty Thieves,” which the newly appointed conductor performed at his premiere concert on October 4th, 1835. Felix Mendelssohn Bartholdy, Das Alte Leipziger Gewandhaus, 1836, Library of Congress, Washington D.C. 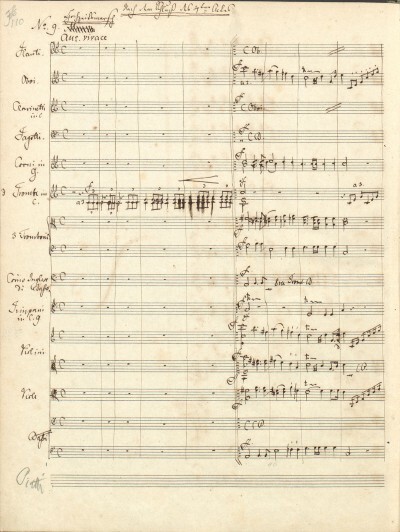 The “Wedding March” from the incidental music for Shakespeare’s “A Midsummer Night’s Dream.” Autograph, 1843, Biblioteka Jagiellonska, Cracow. Felix Mendelssohn Bartholdy’s socially engaged, communicative personality, his extensive travels and high level of education are mirrored in the diversity of the oeuvre he completed in a lifespan of only 38 years. It is a veritable Romantic cosmos that runs the gamut from youthful symphonies and chamber music to orchestral pieces and oratories, from a treasure trove of Lieder and fugues for organ and piano to subtle miniatures (“Songs Without Words”). 750 compositions in all, of a quality that stands comparison with those of his illustrious predecessors. Thus, Felix leaves behind masterworks and perennial favorites in every genre except opera: incidental music for “A Midsummer Night’s Dream,” the Italian and Scottish symphonies, the oratorio “Elijah,” a string octet and various string quartets, Violin Concerto No. 2, as well as popular choral works like “Abschied vom Walde,” inspired by the poetry of Joseph von Eichendorff. He also serves as an inspiration for most vocal ensembles of the day. And the Mendelssohn Bartholdy Men’s Chorus in Montabaur, for example, names itself after him in 1855 at the suggestion of the Dernbach Sisters, an order of nuns based near the Mendelssohn estate in Horchheim. He takes ten trips to England, where he is received by Queen Victoria and where he is celebrated even more than in Germany. He is a trailblazing interpreter of Bach and Handel and is the first to embody the role of the modern conductor as we know it today. Diesen Wahlspruch, angebracht an der Stirnseite des Leipziger Konzertsaales, hat Felix Mendelssohn Bartholdy zu seinem Motto gemacht. After the death of his revered father (1835), Felix finally feels emboldened to marry and start a family of his own. His bride Cécile Jeanrenaud comes from a Frankfurt-based Huguenot clan. Devoted to his family yet also driven to excel, Mendelssohn takes on an enormous workload. Travelling back and forth between Leipzig and Berlin as well as abroad to meet his directorial obligations, he must also find time to compose, to manage the institutions entrusted to him, to spend leisure and vacation time with his family, and to write letters (some 5,000 over his lifetime). Particularly in England, he is hailed as the leading composer of his day. Steeped in the great German musical tradition from Bach to Beethoven, Mendelssohn is able to develop his own style in practically all genres (except musical theatre). Long afterwards, widespread anti-Semitic prejudice will cause his music to be dismissed as the light-weight efforts of a lucky parvenu. Despite the affection and high regard he enjoys among his contemporaries, much of his work becomes unappreciated and neglected after his death, at least in part due to the lasting influence of Richard Wagner’s defamatory pamphlet Das Judentum und die Musik (Judaism in Music). But as the saying goes, “those favored by the gods die young”: His untimely death at the age of only 38, just six months after the loss of his beloved sister Fanny, gives him the aura of a comet-like prodigy who burned out too soon. 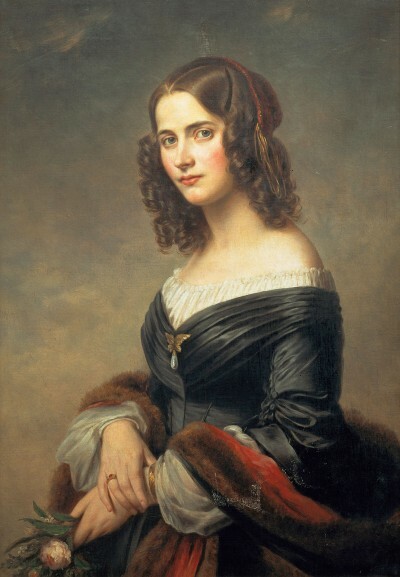 Felix’ wife Cécile Jeanrenaud, daughter of a family of Hugenot patricians from Frankfurt. Eduard Magnus, “Cécile Mendelssohn Bartholdy,” 1845, © bpk / SBB / photo: Ruth Schacht.